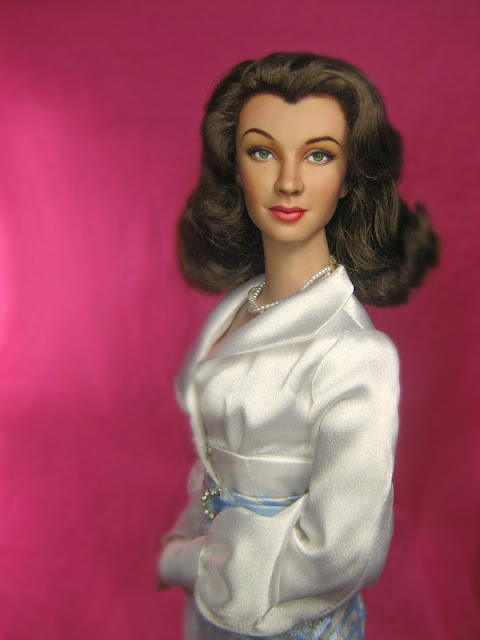 Scarlett Reverie: Lady of the Manor: Tonner Scarlett wears Tonner's Bubbling with Charm"
Lady of the Manor: Tonner Scarlett wears Tonner's Bubbling with Charm"
Thank you Arlene Tellez for securing this lovely outfit that is actually made for Tonner Bette Davis. I repainted the arched brow here to give it more of a lift. I also defined the lips a little more. 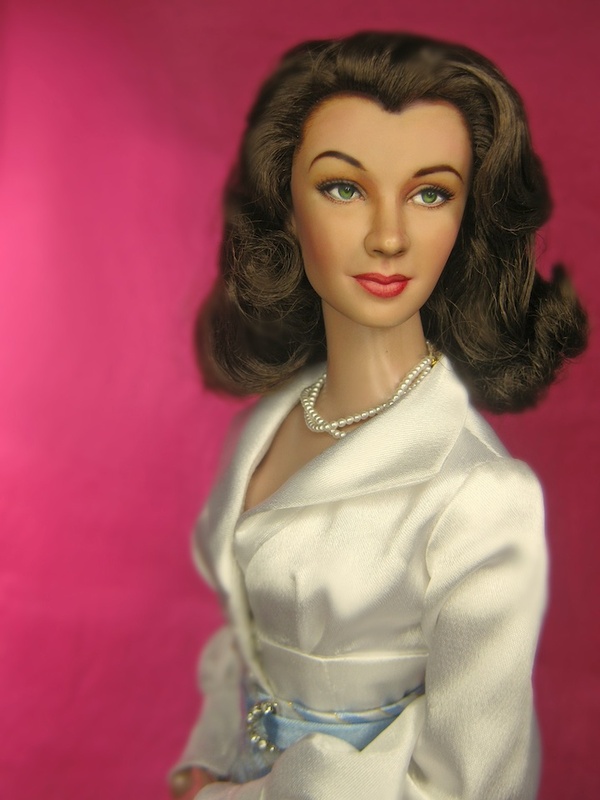 She's a Basic Scarlett which was repainted to have that Vivien look. I like it that she has more flexibility to change clothes. That for me is a key reason for buying a doll -- the immense possibilities of play. The pearls come from a Franklin Mint doll. 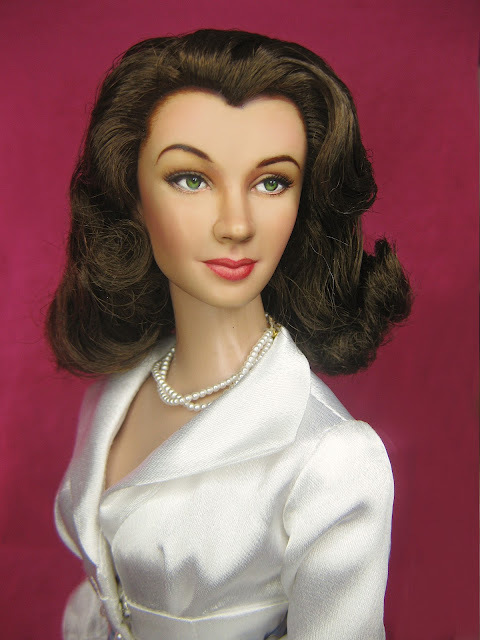 Looks like I have to look more at Tonner's Hollywood Glamour line. She is ethereal! So beautiful. I always wanted to ask you, do you have a different approach when painting Scarlett vs Vivien? Finally something that fits her. Well I think the make up differs a bit, although I didn't really input that point-of-view here. A Vivien would have more license to have redder lips. 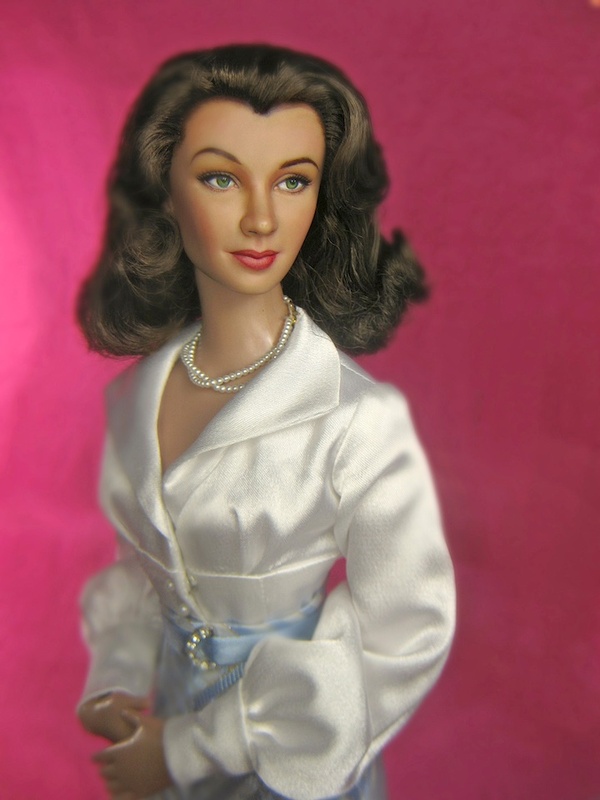 What I mean is its okay to make a Vivien repaint to have obvious make up to create that Hollywood Glamour feel. With Scarlett, I've learned through repainting, you have to at least make the makeup acceptable to the period -- that isn't evident in the film of course, but you can't really have her wearing dark red, hot lipstick. I wanted a softer look for this doll's lips and just let the eyes work. I wish Tonner would extend the Scarlett line to a Vivien Leigh line --hmmm that merits another post. Thank you xedladc for dropping a line!